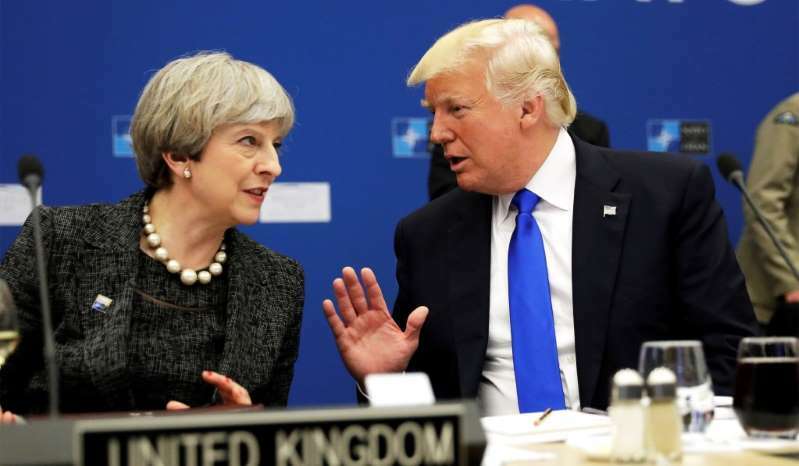 British Prime Minister Theresa May and President Trump at the NATO summit in Brussels, Belgium, May 25, 2017. [post_ads]If you think the problem is Trump, think again. The forbidden fruit has been bitten. How could we go back? Why would Republicans refrain from lobbing the same accusations of foreign meddling against Democrats in the future? And why would foreign powers not attempt the same tactics again, now that they have seen how easy it is to sow chaos and discord? Trump did not bring this situation with him. He is in fact the product of a new world where voters in the U.S. feel increasingly vulnerable to influences from the outside — influences which can no longer be managed or controlled as they were in the past.